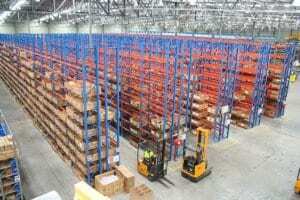 For anyone who owns a company with a large warehouse at the centre of operations, choosing the right warehouse racking system will play a vital part in if the company succeeds or fails. The racking system has to fit into their business, not their business fit around the system. The racking system needs to ultimately make things easier for the company but also be adaptable for future needs and growth. There are a number of factors which need to be considered before choosing the system. You need to consider how you want to store your items. First and foremost you will need to decide if you want to go with a FILO system, FIFO system, live storage etc. You need to decide what is best for your business and how you want to do things. You also need to look at the amount of things you want to store. You will need to identify different opportunities and methods such as push backs, pallet flow, drive in etc. Another consideration you will need to look at is how much space you have to work with to see which will be the best option for you and the best use of space. You need to identify the best method which will allow you to maximise your space whilst working in-line with the processes of the business and how you will be picking your stock. It is important that you spend time making these decisions as you need the system to succeed to ultimately help the business succeed. What is great about a warehouse racking system from Advanced Handling and Storage Ltd is that you can add on to your system at any time. Our systems can grow with your business!